Le Cheval Laundry has been in business since 1988. We are a full service equine laundry design for the horse enthusiasts. What sets us apart from other laundries is that we are horse owners, like our customers. As a result, we are sensitive to the needs of the horse and their owners. Additionally, prices are very reasonable when compared to other laundering companies. Our system is unique because we disinfect the blankets to protect your horses’ sensitive skin. A free pickup and delivery process is available for 5 or more blankets. We have several large hunter/jumper barns as regular customers, as well as, a store-front for the convenience of our customers. 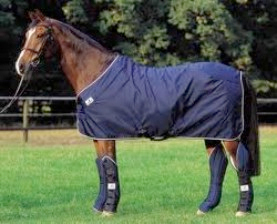 Let us help you get your horse blankets ready for the upcoming season.